Yellowstone National Park’s East Entrance is expected to open to the public for the winter season Thursday. Park officials say rubber-tracked snowcoaches and snowmobiles will be allowed to travel between the entrance through Sylvan Pass to Fishing Bridge and West Thumb. But steel-tracked vehicles will not be allowed on the route until more snow accumulates on the roads. 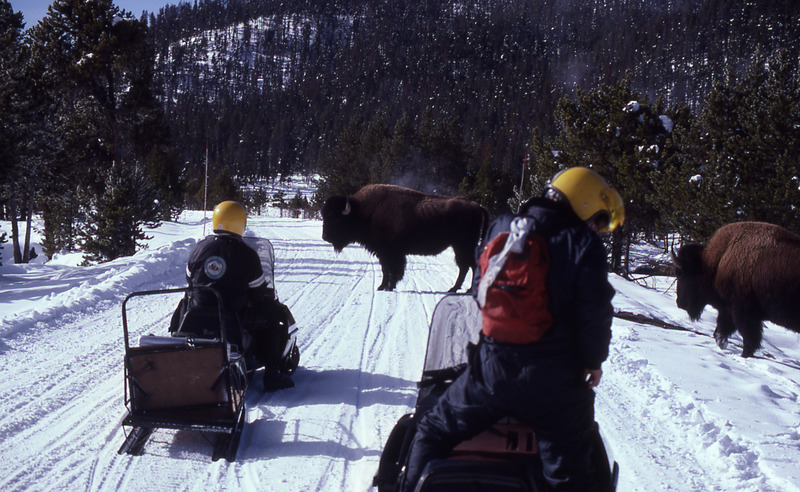 The park has recently opened several routes for limited, commercially guided snowmobile and snowcoach travel. One park road will remain open to regular vehicle travel during the winter. It runs from the north entrance at Gardiner, Mont., through Mammoth Hot Springs, Tower Junction and the Lamar Valley to Silver Gate and Cooke City, Mont. Experience Old Faithful, the most popular geyser in the world, and hundreds of other geysers and hot springs. Look for bears and wolves, elk and buffalo in the Lamar and Hayden Valleys. Hiking, camping, fishing, enjoying exhibits and films, and attending Ranger-led programs are among the many ways to experience Yellowstone. Yellowstone’s climate is one of cold winters and moderate summers. Most of the park is above 7,500 feet and the weather is unpredictable. Be prepared for changing temperatures, storms and emergencies. The human history of the Yellowstone region goes back more than 11,000 years. From about 11,000 years ago to the very recent past, many groups of Native Americans used the park as their homes, hunting grounds, and transportation routes. These traditional uses of Yellowstone lands continued until a little over 200 years ago when the first people of European descent found their way into the park. In 1872 a country that had not yet seen its first centennial established Yellowstone as the first national park in the world. A new concept was born and with it a new way for people to preserve and protect the best of what they had for the benefit and enjoyment of future generations. 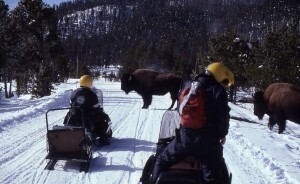 Even though the animals of Yellowstone seem tame they are still wild. Feeding the animals is not permitted in any way, and all visitors must keep 100 yards away from wolves and bears, and 25 yards from other animals. The 1988 fires affected 793,880 acres or 36 percent of the park. Five fires burned into the park that year from adjacent public lands. The largest, the North Fork Fire, started from a discarded cigarette. It burned more than 410,000 acres. For additional information on Campgrounds in Wyoming, please visit 5 Star Campgrounds. This entry was posted on December 22, 2011 at 3:51 pm and is filed under In the News. You can follow any responses to this entry through the RSS 2.0 feed.